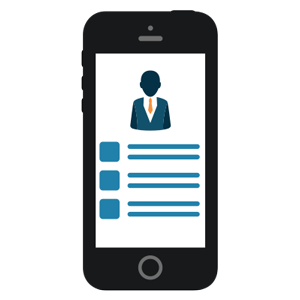 The following features can be used to create a custom mobile app for any conference or event. Browse the list below to explore what a custom iPhone, iPad, and Android app can do for your event. You can also download the latest Apps for Events feature guide in PDF format. The AppBurst Dashboard is an admin system enabling our partners to take control their mobile application. From creating and editing content to sending push notifications and viewing download statistics, the dashboard provides 24/7 access to a number of useful tools. 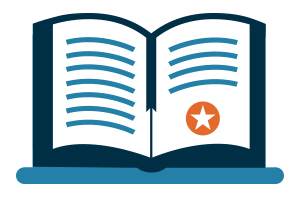 Display the complete program agenda for your event in an easy to navigate format. Want to divide sessions into categories or tracks? No problem. Users can also add sessions of their choice to Outlook, iCal, or another personal calendar on their device. 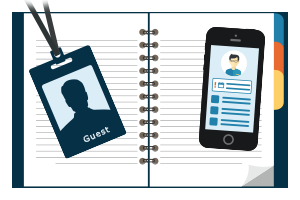 Let event attendees create their own custom schedule in the mobile app for your event. 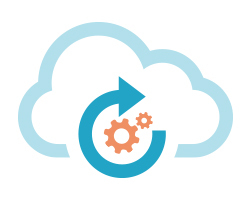 The Apps for Events platform supports the ability for users to bookmark sessions to create a custom schedule of sessions that they plan on attending. In addition, the bookmarking / favorites feature also enables users to bookmark any type of content in your app such as PDF presentations, blog posts, article, and videos. 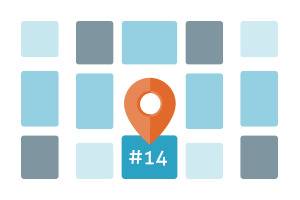 An interactive map of the exhibitor floor allows users to zoom in and out, as well as move left, right, up, and down to virtually navigate to any area of the floor plan. 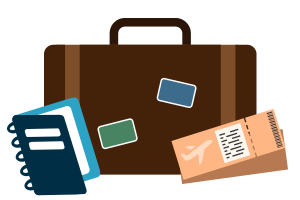 Individual booth can be color-coded and marked as “visited” or “bookmarked”, which populates lists within the app for future reference. The AppBurst custom graphics package provides a mobile event app design matching the style and branding of your organization and next event. Our design team requires only a logo ﬁle and brief style idea or theme from the client to begin, while clients can also supply corporate style guides, website URLs, and other graphical assets for additional ideas and colors. The finished product includes all of the graphics required for an event app submission. 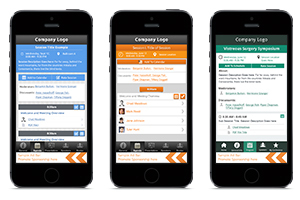 AppBurst provides a variety of professionally designed theme options for mobile event apps. Each theme features a full set of content templates enabling users to seamlessly navigate through the app and enjoy a consistent design when viewing sessions, speakers, exhibitors, and any other type of information. Our graphic design team also offers 100% custom themes for organizations interested in a completely unique look. In addition to selecting from a variety of unique themes, each app’s color schemes may be customized via the AppBurst Dashboard admin system to match the organization or event’s branding. 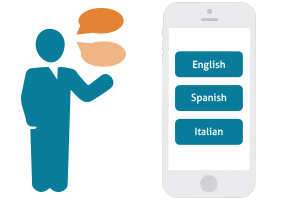 From requiring multi-language support to an app developed solely in another language, the ability to cater to the language preferences of attendees is an important factor in when considering mobile app development. 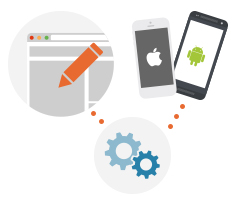 AppBurst develops native mobile event apps supporting multiple languages on iPhone, iPad, and Android, giving attendees a value-added benefit leading to better engagement as users are able to easily navigate the app and view content more efficiently. 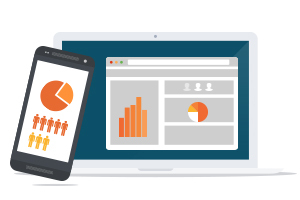 AppBurst’s live polling and audience response system takes in-app surveys one step further with an interactive feature built to generate real-time information from event app users. From asking questions during an important session to gathering feedback immediately after a demonstration, live polling enables event planners and organizers to connect attendees with speakers, moderators, and more. 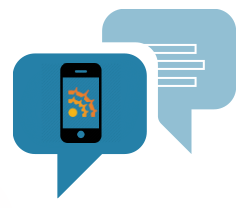 Mobile chat for event apps builds on AppBurst’s other communication and networking features to give attendees a dynamic way to connect at meetings, conferences, and trade shows. Coupled with other tools like social media integration and searchable profile pages for attendees, speakers, and exhibitors, everyone attending an event can utilize mobile chat on their mobile device to instantly communicate with others. Showcase participating speakers, attendees, and exhibitors for your event. Our mobile apps display alphabetical and searchable directories based on definable categories such as speaker type, featured exhibitors, and more. Users have access to speaker biographies with contact information and related sessions, as well as exhibitor profiles with company information and an integrated email inquiry form. Want to generate revenue through sponsorships? 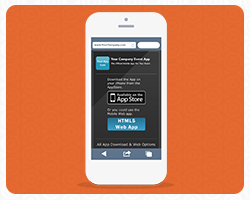 Our mobile event apps offer functionality for sponsor pages, ad bars, splash screens, takeover ads, and more. 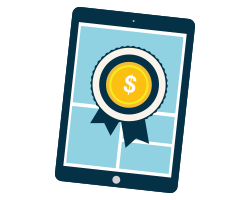 Help pay for the cost of the app and even generate profits for your company or organization. Host cities for most meetings, conferences, and trade shows represent a new or seldom-visited locale for the majority of attendees. Go beyond simply sharing the event program and turn the mobile app into a destination guide as well, ensuring attendees get the most out of their visit and aren't left hunting down nearby restaurants to network with colleagues or phone numbers to local public transportation. In certain situations, internal information may need to be shared with attendees at an event, but not to the general public. 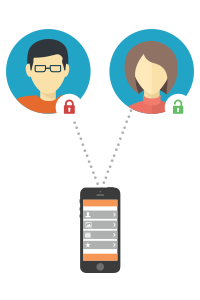 Password protect specific sections of your mobile app, keeping content private but still enabling authorized users to access documents, contact information, and other important items. While the most tech savvy attendees may enjoy tinkering with an event app to find the best features and understand how to accomplish tasks, ensure every user enjoys a seamless experience with an opening tutorial or walkthrough system. 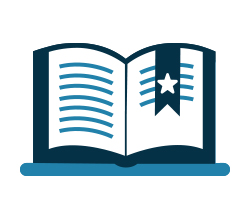 The educational feature may direct attendees to the most valuable and useful content areas or even provide step by step instuctions for some of the more complicated features such as interactive exibitor maps and live polling. AppBurst works behind the scenes to ensure every mobile event app functions bug-free not only during the meeting, conference, or trade show, but throughout the year to give attendees an important resource for event content. The AppBurst Service Agreement ensures every mobile application up to date and working year-round, enabling event planners to devote their time and energy elsewhere. 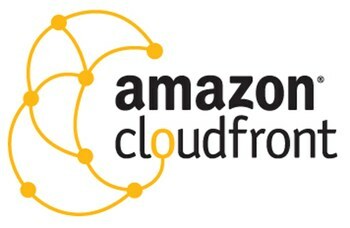 AppBurst mobile event apps use Amazon CloudFront to ensure fast and reliable data delivery to attendees. The content delivery network (CDN) gives event hosts peace of mind and attendees increased bandwidth to access application content with 52 physical server locations around the world. 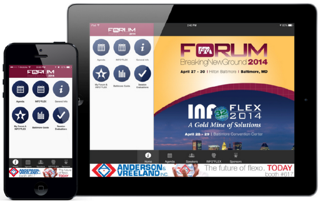 Ensure event attendees receive app content well before the meeting, conference, or trade show begins. First impressions are instrumental when sharing a mobile event app with attendees. Give users an intuitive Springboard Homepage design to ensure key content is only a few taps away. 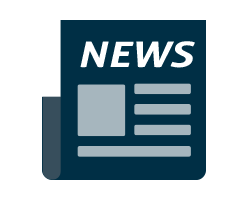 The icon-based homepage also provides users with a modern design and functionality used by popular apps without the risk of a learning curve or vital content hidden from view. Apps For Events provides detailed download statistics and usage analytics to our partners. Owners, organizers, and sponsors of the event can receive a daily report delivered to their inbox illustrating how many times the app was downloaded during the previous day. Additionally, every tap in the app is tracked so administrators can view detailed reports on how the app is being used, by how many users, and how often. Receive important feedback from event attendees. 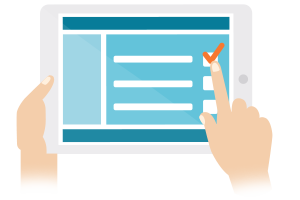 Our surveys and feedback features range from general event questionnaires to session and speaker-specific multiple choice questions, star ratings, and more. You create the criteria and we place it in the app. Have a video channel related to your organization or the event? 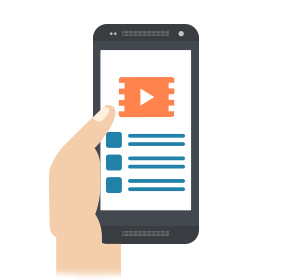 Want to allow event exhibitors and sponsors to display videos in your app? 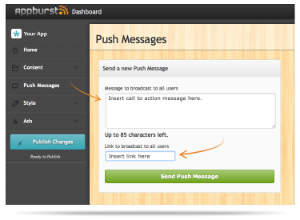 You can display individual videos and complete channels in iPhone, iPad, and Android mobile apps developed by AppBurst. Video channels and playlists from any platform supported by mobile devices can be used, including YouTube. Users can view HD video in full screen, bookmark, and share via email, Facebook, or Twitter. Integrate Flickr or Facebook photo galleries into a mobile event app to share media with attendees. 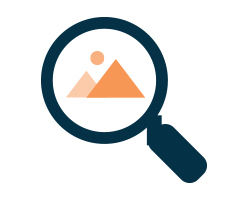 Photos are managed on the original platform for easy bulk uploading and organization and may be shared via email or social media. Providing blog and news feeds not only drives engagement at the event, but turns the app into a year-round resource--increasing users, brand awareness, and even revenue opportunities. Does your organization have presentation slides or other relevant documents for the event? 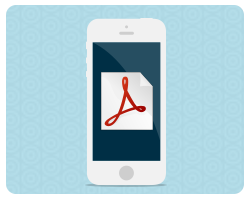 Our mobile event apps can display PDF files—viewable in either portrait or landscape mode—with email functionality and printing support for iPad and iPhone users (Apple AirPrint required). 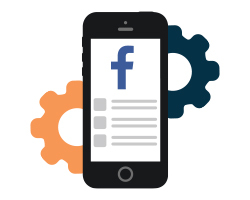 Share content in your mobile event app with the AppBurst platform, integrated natively with the Facebook graph API so iPhone, iPad, and Android apps can provide the best user experience for users. We can turn Facebook sharing on or off for each section of your app! 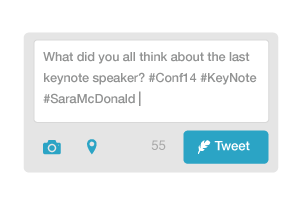 Take advantage of social networking with Twitter feeds in your event app. 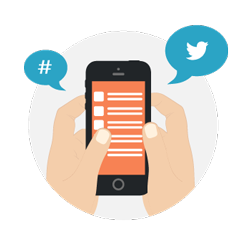 Apps For Events can include a page displaying a specific Twitter account or #hashtag in the app. All of the app sections can also feature sharing via email, Twitter, and Facebook. 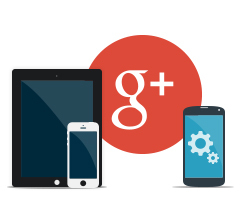 Virtually every section within the app can be integrated for social networking. Event attendees can share information such as conference sessions, speaker bios, vendor descriptions, and more using email, Twitter, and Facebook. 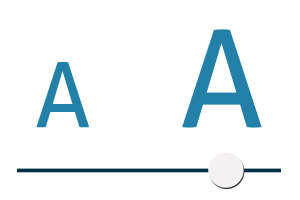 Applied to all pages of text within the app, our font adjustment feature offers five predetermined sizes ranging from extra small to extra large, which is especially useful for users with poor eyesight and apps presenting large quantities of text. Downloading an Apps For Events mobile application onto any device is a breeze with our user-friendly “AppBurst portal”. Our partners choose the domain name and we set up a website that instantly recognizes the device and directs users to the appropriate download location. Create a custom schedule, save favorite speakers or exhibitors, and bookmark a restaurant for later. 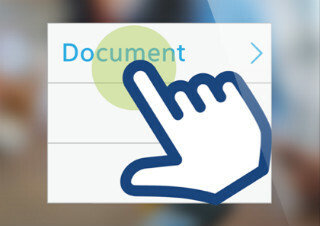 Our bookmarking feature enables app users to save pages of any section to a “my favorites” area, creating a customized experience inside of the mobile event app . 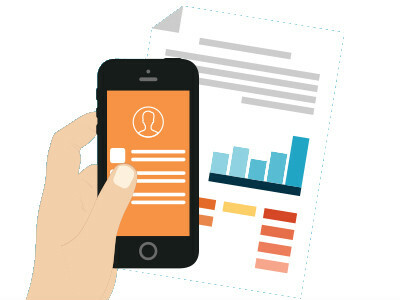 AppBurst’s notepad feature enables event attendees to take notes directly in their mobile app. 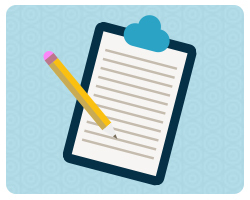 Create an empty note for future reminders, thoughts, or to compile feedback on a session, speaker, or exhibitor. Notes may be created directly from the notes areas, subsequently deleted, and emailed as an attachment or plain text. The title of the note is derived from the first line of text in each note.